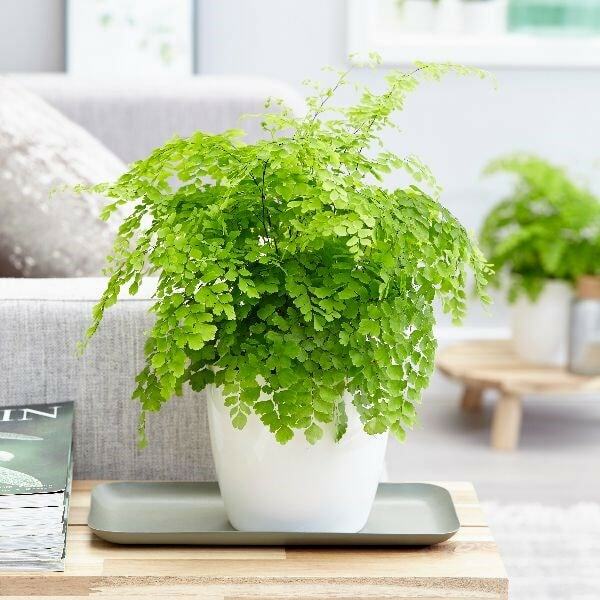 Buy Adiantum raddianum 'Fragrantissimum' maidenhair fern Fragrans: A wonderful plant for a larger terranium, kitchen or bathroom. 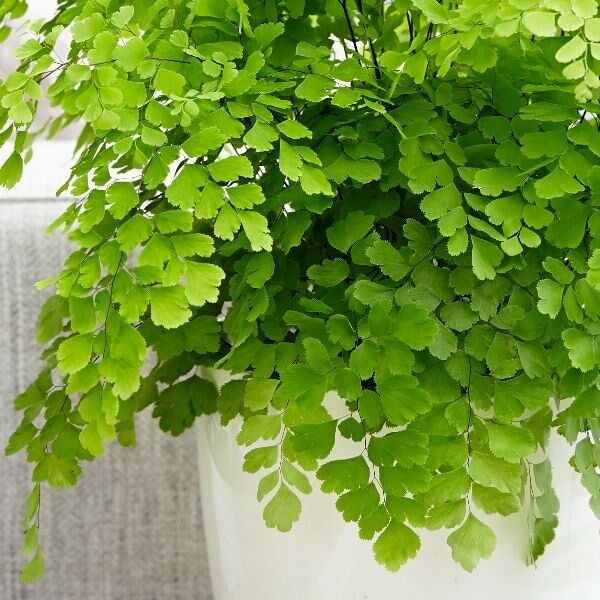 The black stalked, triangular fronds of this elegant maidenhair fern are made up of lots of lobed segments, which create a soft and lacey effect. The colouring of the fronds is pretty too - being a soft yellowish green initially, but turning a darker green as they mature. This is a wonderful plant for a larger terrarium as it loves a humid atmosphere, but it will also flourish in a steamy bathroom or kitchen. Please note that the pot in the photograph is not supplied with the plant (which is sent out in a black plastic pot). They do however make excellent potted plants, and if you wish to pot yours up, we do have a wide range of pots on our website to choose from. I am struggling to get succulents to grow in this terrarium - the conditions seem too damp even with very little watering of the plants. I have been placing the plants in terracotta pots inside the terrarium. Would ferns be better and if so, which varieties?